Car2Go failed to win enough customers in London and Birmingham to make the business sustainable. FRANKFURT (Reuters) -- Daimler's Car2Go unit will withdraw from the UK tomorrow after the car-sharing business it runs with rental firm Europcar failed to gain traction in London. "We've listened closely to customer feedback and taking the UK's strong culture and tradition of private vehicle ownership into account, we have decided to withdraw from the UK marketplace," Car2Go said on its Web site today. 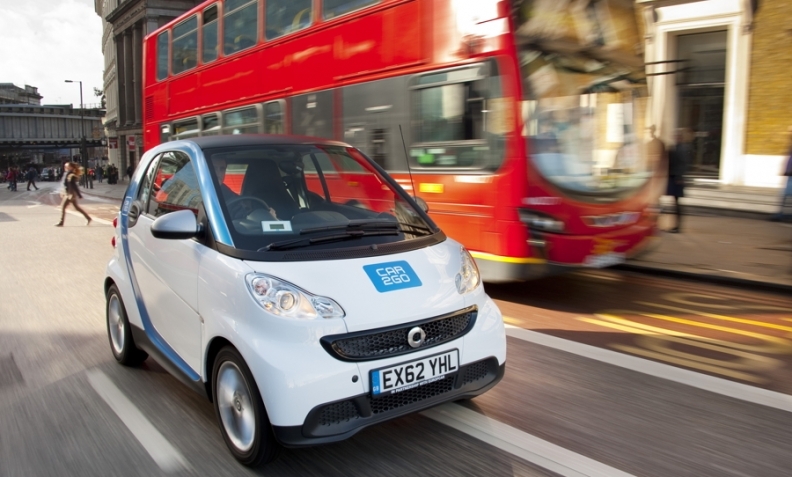 Car2Go has been in London since December 2012 and launched in Birmingham in 2013. Car2Go had hoped to establish a network of "free-floating" parking spaces across London where customers could pick up and drop off cars. But coordinating 32 separate authorities across different boroughs proved to be more difficult than anticipated. "The unique challenges we encountered were more significant than expected," the company said. Car2Go failed to win more than 10,000 customers and therefore could not achieve the five to eight daily bookings necessary to make the business sustainable in the UK, a spokesman for the company said. By contrast, car2go had attracted about 110,000 users in Rome and Milan and about 70,000 clients in Germany where the service is offered in seven cities including Berlin and Hamburg. Worldwide Car2Go has 750,000 registered users and is present in 25 cities.